Enjoy a memorable night out in Paris by combining a visit to the Eiffel Tower and Seine River cruise with a cabaret show at the Moulin Rouge. Enjoy dinner at the Eiffel Tower's 58 Tour Eiffel restaurant followed by a one-hour river cruise, or dine on board a Seine River dinner cruise followed by a 1-hour visit to the 2nd floor of the Eiffel Tower. Whichever option you choose, complete your night at the home of the Cancan, the famous Moulin Rouge in bohemian Montmartre. Enjoy a delicious 3-course meal at the specially designed, airship-style 58 Tour Eiffel restaurant, on the 1st floor of the Eiffel Tower. The elegant restaurant is 95 meters (311 feet) above sea level and 58 meters (190 feet) above ground level, with scenic views over the Seine to the Trocadero from its large picture windows. After dinner, take a one-hour evening cruise on the Seine River and tour Paris' floodlit monuments at night. Enjoy a delicious 3-course meal on board the Marina de Paris restaurant boat whilst gliding down the Seine River. During your cruise you will see the most famous sites of Paris illuminated. Don't miss Notre Dame, the Louvre, Eiffel Tower and the stunning romantic bridges of Paris! After dinner you will take a 1-hour visit to the Eiffel Towers 2nd floor to enjoy stunning views across the whole city. Next, head to the heart of Paris' nightlife, Montmartre, and the Moulin Rouge! You'll experience the Moulin Rouge's new "Féerie" review and the essence of Parisian cabaret. A troupe of 100 artists, including 60 legendary Doriss dancers, will entertain you dressed in exotic costumes of feathers, rhinestones and sequins. The sumptuous sets and vibrant light show of "Féerie" provide a colorful backdrop for brilliantly choreographed performances on moving staircases, in a gigantic aquarium, on swings and in garden settings. Special Offer - Book and travel by January 31st 2018 and save 10% off our previously offered price! - Book Now! Spend a magical night out on the town in Paris. Start your evening with a lamp-lit cruise along the Seine River, then see more of Paris' city lights by taking a Paris illuminations tour around the capital. Follow your tour of Paris by night with a late dinner near the fabled Avenue des Champs-Elysees, the world's most beautiful boulevard. Take this tour and you'll soon understand why Paris is known as the "City of Light". You'll cruise along the Seine River and see the illuminated buildings and bridges of Paris, then tour tree-lined boulevards flanked by animated cafes. You'll see the famous sights of Paris on your nocturnal tour by coach, including Place de la Concorde Square, Place Vendome, Opera, Champs-Elysees, Arc de Triomphe, Trocadero, Invalides, Notre Dame Cathedral and Place du Chatelet. After your Paris illuminations tour, you'll find the best tables have been reserved for you at the restaurant "Le Boeuf sur le Toit" restaurant. Here you'll enjoy a typically French three-course meal and a glass of wine, overlooking the Arc de Triomphe on the Champs-Elysees. Enjoy beautiful views of top city attractions and a delicious 3-course dinner on this 3-hour evening Seine River cruise in Paris. Depart from beneath the Eiffel Tower and gaze out over famous city sights such as the Musée d'Orsay, Notre Dame Cathedral, Place de la Concorde and the Louvre. With the waves lapping softly at your boat and the lights of the evening drifting slowly past, enjoy a sumptuous 3-course dinner and a little live music on board. Combine Paris sightseeing, French cuisine and live entertainment in one unforgettable package! Begin your Seine River cruise with an early evening pickup from your Paris hotel. Head to the bank of the river  beneath the citys famous Eiffel Tower  hop aboard your boat and head out onto the gentle waves. Leave the Eiffel Tower behind you and cruise along the Seine Rivers left bank. With the bright city lights dancing and shimmering across the water, take in panoramic views of top city attractions such as Notre Dame Cathedral, the Musée d'Orsay, the Louvre and Place de la Concorde. Turn around at Île Saint-Louis and head back to your starting point, this time taking in the views from the right bank of the river. Choose from three different seating plans for your cruise, depending on your group size and location preferences. The service etoile is for groups of six to eight people and the tables are in the center of the boat. Upon arrival, you'll be served an apéritif and snacks along with wine, mineral water and coffee. The service privilege is for a maximum of four people, with the tables sitting close to the window. Your choice of aperitif is included, along with wine, mineral water and coffee. The service premiere is for a maximum of eight people and the tables are at the front of the boat. On arrival at the pier, meet your hostess and enjoy priority boarding access. On board, a choice of aperitif is served with snacks, followed by a selection of wines, mineral water and coffee. Your boats glass roof and panoramic windows ensure unobstructed views of the illuminated riverside sights of Paris regardless of your location on the boat. With the waves lapping gently at the side of your boat, sit down to a fabulous 3-course dinner prepared on board by Chef Gras  an Académie culinaire de France chef  and his team. During dinner, there's sophisticated entertainment from a singer and band as you glide along the Seine River. After three hours on the river enjoying delicious food, live music and amazing views, disembark your boat and hop back in your vehicle for the journey back to your Paris hotel where your tour will come to an end. Treat yourself to an unforgettable night in Paris with dinner on the Eiffel Tower and a Seine river cruise. Take in views of the Champ de Mars, Les Invalides, Montparnasse Tower and Montmartre as you dine on a gourmet 3-course meal at the award-winning 58 Tour Eiffel restaurant on the Eiffel Tower's first floor. Then, board a glass-enclosed boat for a relaxing Seine cruise past top Paris attractions like Notre Dame and the Louvre. This is one of the most popular Paris tours and regularly sells out weeks in advance, so book ahead to avoid disappointment. After meeting at Pyramides in the evening, youll be driven to the Eiffel Tower to begin your magical night out in Paris. Savor the excitement as you ride the elevator up to the tower's first floor, overlooking the glittering city panorama below. Take your seat inside the luxurious 58 Tour Eiffel restaurant for your one-of-a-kind dining experience. Youll discover immediately why this esteemed French restaurant won TripAdvisors Certificate of Excellence in 2013. Dine on a gourmet 3-course meal with wine as you enjoy a birds-eye view of the Champ de Mars, Les Invalides, Montparnasse Tower, Montmartre and the rest of the sparkling City of Lights. After your meal on the Eiffel Tower, descend down to street level and walk to the banks of the Seine to board your glass-enclosed boat. Sit back and relax on a 1-hour cruise past Paris floodlit bridges, monuments and museums including the Louvre, the Musée dOrsay and Notre Dame on Ile de la Cité. Audio commentary with personal headphones is available in several languages. Your Seine river cruise ends back at the dock near the Eiffel Tower. Special Offer - Book by February 28th 2018 to save 10% off our previously offered price! - Book Now! See Paris' main attractions in a four-hour Paris city tour with a difference. Your sightseeing tour of Paris includes a tour across the city by coach, views of Paris from the water as you cruise along the Seine River, and lofty panoramas from the second floor of the Eiffel Tower. You have a choice of four tour times so you can plan your day to suit yourself. This comprehensive tour is a great way to get to know Paris if this is your first visit. Your coach tour across Paris takes in Place de la Concorde Square, the Champs-Elysees, the Arc de Triomphe, the western districts of Paris, the Palais de Chaillot and the Palais Bourbon (National Assembly). You'll then see Paris from a different viewpoint by taking a one-hour cruise on the Seine River, highlighting Paris' rich 2,000 years of history. And what better way to conclude your overview of Paris than by taking a trip up the Eiffel Tower where you will have enough time to explore the Eiffel Tower on your own. You'll ride the elevator up to the second floor of the Eiffel Tower for spectacular views of Paris laid out before you. Have your camera ready! Special Offer - Book with us by January 28th 2018 and save 11% compared to another travel site! - Book Now! Paris is enchanting by night, so take this comprehensive four-hour tour to experience the magic first-hand and discover why Paris is known as the "City of Light". You'll visit the illuminated Eiffel Tower, take a one-hour evening cruise on the Seine River and tour Paris' floodlit monuments at night. You'll have unbeatable views of Paris at night from the Eiffel Tower, and again from the Seine River as you pass under the famous bridges of Paris. Then as you tour Paris' tree-lined boulevards in the comfort of your air-conditioned motor coach, you'll see the famous sights of Paris lit up for the night, including Concorde and Vendome Squares, Opera and the Champs-Elysees. Please note that in summer (April to October), tours will partially take place during sunlight as it does not get darker until much later in the evening. Enjoy an exciting night out in Paris with dinner at the Eiffel Tower, a Seine River cruise and complete your night with one of the most famous cabaret shows in Paris; the Moulin Rouge! This small-group tour is limited to 19 people, ensuring personalized attention from your guide. Enjoy dinner at one of the most famous landmarks in the world. The specially designed, airship-style 58 Tour Eiffel restaurant is on the first floor of the Eiffel Tower. The chic restaurant is 58 meters above ground level, with scenic views from its large picture windows over the Seine to the Trocadero. After dinner, take a one-hour evening cruise on the Seine River and tour Paris' floodlit monuments at night before arriving at the Moulin Rouge in Montmartre. Situated in the heart of Parisian nightlife, the bohemian district of Montmartre and the Moulin Rouge! You'll experience the Moulin Rouge's new "Feerie" review and the essence of Parisian cabaret. A troupe of 100 artists, including 60 legendary Doriss dancers, will entertain you dressed in exotic costumes of feathers, rhinestones and sequins. The sumptuous sets and vibrant light show of "Feerie" provide a colorful backdrop for brilliantly choreographed performances on moving staircases, in a gigantic aquarium, on swings and in garden settings. Book early to avoid missing out! The Moulin Rouge is extremely popular and regularly sells out weeks in advance. Its no wonder they call it the City of Lights  Paris is especially enchanting in the evening. On this illuminations tour, admire top Paris attractions from two perspectives, starting with a lamp-lit cruise along the Seine past the Eiffel Tower and Notre Dame. Then take a nighttime city tour to see the Champs-Elysées, lArc de Triomphe, the Louvre, Les Invalides, Place de la Concorde, the Grand Palais, Rue de Rivoli and much more (itinerary is reversed in the winter). Choose a standard coach tour or small-group minivan tour for a more personalized experience. During the summer months (April  Oct), when it doesnt get dark until later, youll start with a Seine cruise and end with an illuminations tour. Youll follow the reverse itinerary in the winter months (Nov  March). Below are sample summer itineraries. Choose a standard or small-group tour. Seine Cruise and Standard Tour by CoachAfter pickup from the central Paris meeting point, youll be taken to the Bateaux Parisiens boarding point for your 1-hour narrated cruise along the Seine. Sit back and admire the waterfront sights including the Eiffel Tower and Il de la Cité, where youll see Notre Dame and the Conciergerie. Back at the dock, youll be escorted to a coach for your 1.5-hour illuminations tour. Learn about the history of Paris most famous monuments as you ride through the glittering city past the sights you saw on the Seine plus the Opéra, Rue de Rivoli, the Louvre, Les Invalides, Place de la Concorde, the Grand Palais and Petit Palais, Pont Neuf, St-Germain-des-Près, the Champs-Elysées, lArc de Triomphe and more. You can then choose to be dropped off at the central meeting point or the Opéra area, filled with great restaurants and bars to continue your night out in Paris. Seine Cruise and Small-Group Tour by Minivan Youll be picked up from your central Paris hotel and taken to the Bateaux Parisiens boarding point, where you and your group will join others on a sightseeing boat to enjoy a 1-hour narrated cruise. Follow with a city illuminations tour by 8-passenger minivan, ensuring a more personalized and intimate experience. Starting at Place Vendome, admire Paris beautifully illuminated historical monuments, museums, boulevards and neighborhoods as you ride to the Opéra, Rue de Rivoli, the Louvre, Hôtel de Ville, Notre Dame, Place de la Concorde and the Grand Palais and Petit Palais. Cross Pont Neuf to St-Germain-des-Près and then venture down the Champs-Elysées to lArc de Triomphe, looping back to Trocadéro and the glittering Eiffel Tower, then to Les Invalides, Madeleine Church and Place Pigalle. At the end of your tour, you'll be dropped off at your hotel. Dine at 58 Tour Eiffel on the 1st floor of the Eiffel Tower to enjoy panoramic views of Paris followed by a romantic Seine river cruise. Finish the evening with a cabaret show at the famous Moulin Rouge. In decor reminiscent of an airship moored above Paris, you will dine at the 58 Tour Eiffel restaurant on the 1st floor of the Eiffel Tower. The large bay windows of the restaurant look out over the Seine and the Trocadero to one side and the interior of the Tower to the other. This tour has been created as an introduction to the Eiffel Tower, 58 Tour Eiffel is a modern restaurant and seats 200 guests. The dinner menu includes drinks and choice of starter, main course and dessert. Follow this with a romantic Seine river cruise before heading to the famous Moulin Rouge. Discover "Feerie", the new Moulin Rouge review in pure music-hall tradition. As the theatre lights go down, the curtain is raised and the entire troupe appears on stage, under the admiring gaze of the audience who find themselves entering the Garden of the Moulin Rouge to discover the magical atmosphere! A touch of nostalgia. From this moment on, let yourself be enthralled by the beauty of the Doriss Girls and the Doriss Dancers! Hop on the Eurostar in Paris for an easy day trip to London! After a high-speed train journey of 2 hours and 15 minutes, youll have the rest of the day to see top London attractions on a hop-on hop-off bus tour, with sights including Buckingham Palace, Big Ben, Westminster Abbey, the Tower of London and Trafalgar Square. Enjoy informative narration on board and hop off to explore by foot. Also included is a Thames River cruise! This is the perfect way to see London's must-see attractions in a short amount of time. At the end of the day, board the Eurostar and whiz back to Paris. Meet your host in central Paris early in the morning. Youll be given your round-trip train ticket and escorted to the station to board the 8:13am Eurostar high-speed train to London. The train ride takes 2 hours and 15 minutes, getting you to London around 9:30am. When you arrive at St Pancras station in London, youll be greeted by another host, who'll give you your hop-on hop-off sightseeing ticket and accompany you to the St Pancras station bus stop. After that, you're free to explore this incredible city on your own and spend the day as you please. For the hop-on hop-off tour, take the black Station Connector line to reach your desired stop  you can change to the red line at Baker Street  and board the double-decker bus to begin your tour. Click on 'View Additional Info' to see a map of the routes. Get an overview of Londons sights and history as you cruise through the city and listen to the multi-lingual audio commentary. Hop on and off as you like to explore specific areas by foot. Top London attractions you can see include Buckingham Palace, Big Ben, Westminster Abbey, the Tower of London, the Houses of Parliament, Piccadilly Circus and Trafalgar Square. Take a break from sightseeing by strolling around the city center, visiting a museum, or enjoying a traditional English meal at a local pub. Its entirely up to you! Your hop-on hop-off ticket also includes a Thames River cruise. Hop off the bus at the Westminster stop and take in Londons scenery from a different perspective as you cruise along one of the most famous rivers in the world. Youll have up to eight hours in London. At the end of the day, leave enough time to make your own way back to St Pancras train station to board the Eurostar train back to Paris. Youll arrive at the Gare du Nord station in the evening. See Paris top city attractions and catch the Moulin Rouges latest cabaret spectacle on this 6-hour Seine River dinner cruise with Moulin Rouge show. Start your night with a Seine River cruise and take in beautiful views of Notre Dame Cathedral, the Eiffel Tower, Place de la Concorde and the Louvre. Sit down to sumptuous dinner prepared on board, then head to the famous Moulin Rouge for a performance of their latest cabaret spectacle. Enjoy an evening of fine food and dance, with round-trip transport included from your Paris hotel. Following a mid-afternoon pickup from your Paris hotel, head to the bank of the Seine River and hop aboard your boat to begin your tour. With so many beautiful bridges and buildings lining the Seine River, a cruise is the perfect way to see the sights in Paris from your vantage point on the waves. As night falls and the bright city lights flicker on, gaze out through your boats panoramic windows and marvel at top city attractions such as Paris' Statue of Liberty, the Eiffel Tower, the Grande Palais, Place de la Concorde, the Musée d'Orsay, the Louvre and the famous Notre Dame Cathedral. With Paris famous landmarks drifting slowly past and the gentle waves lapping softly at the side of your boat, sit down to a delicious meal on board. Afterward, disembark your boat and jump into your private vehicle for the short journey through the city to Paris famous Moulin Rouge cabaret. Discover the venues music hall traditions and enjoy its latest spectacle, Feerie. As the theatre lights go down, the curtain is raised and the entire troupe appears. From this moment on, let yourself be enthralled by the beauty of the talented dancers on stage! As the show progresses, enjoy a half-bottle of champagne to enjoy your experience to the full. When the shows over and the lights go up, hop back in your vehicle for the journey to your Paris hotel where your tour will come to an end. Take a small group full-day tour of Paris by minivan for a personalized Paris experience. Your tour combines fast track entry and a guided visit to the Louvre, lunch on a leisurely Seine River cruise, a visit to Notre Dame Cathedral and a tour across the center of Paris by air-conditioned minivan. With a maximum of only eight per group, this small group trip ensures a more intimate experience. You'll be picked up and dropped off at your hotel by minivan, which holds a maximum of only eight passengers. Your small group tour begins with a guided visit of the Louvre Museum. Your Louvre tour concentrates on the museum's three world-famous masterpieces: the Venus de Milo, the Victory of Samothrace and the Mona Lisa, painted by Leonardo da Vinci at the beginning of the 16th century. You'll then have free time to visit other parts of the world's biggest museum. Your visit to the Louvre Museum is followed by a 1.5-hour sightseeing lunch cruise along the Seine River, with drinks included. Your tour of Paris continues into the afternoon with an unguided visit of Notre Dame Cathedral. See Paris from a birds eye view and go up the Towers of Notre Dame Cathedral (own expense). The final highlight on your Paris city tour is a personalized small group tour across central Paris by minivan. You'll admire the most important monuments and attractions in central Paris from the vantage point of your air-conditioned minivan: the Arc de Triomphe, the Champs-Elysées, Place de la Concorde, the Eiffel Tower and Saint-Germain des Prés. Enjoy stunning views from the Seine River in Paris and a 3-course dinner with Champagne on this 2-hour tour. After pickup from your Paris hotel, travel to port on the Seine River where your boat awaits. Cruise out onto the water as dusk turns to night and marvel at the city views as you drift along. Pass famous attractions like the Eiffel Tower, Notre Dame Cathedral, the Louvre Museum and the Pont Neuf. Sit down to a gourmet meal on board, with fine French wine and Champagne. Following a pickup from your Paris hotel, travel by air-conditioned minivan to the Musée dOrsay, by the Seine River in central Paris. Here, hop aboard your La Marina de Paris boat, a glass-enclosed vessel boasting amazing views along the river from every seat. Sit down to a delicious 3-course meal as you cruise along and take in the beauty of Paris from the river. Drift past famous Parisian sites, magnificent monuments and museums, charming quaysides and ancient bridges. Highlights include the Eiffel Tower  one of Paris' most famous icons  Notre Dame Cathedral, the Louvre Museum, the National Assembly and the Pont Neuf. Illuminated against the darkness of night, these sites take on an utterly enchanting beauty. Enjoy a variety of sumptuous starters and select your main course, served with French wine and Champagne. Conclude your meal with coffee and a selection of decadent desserts. After 2 hours cruising the Seine River, head back to port and hop into your air-conditioned minivan for onward travel to your Paris hotel. A great combination! Offering an introductory tour of Paris' highlights including the Eiffel Tower, Champs-Elysées and Notre Dame plus a one hour cruise along the River Seine. After you've meandered around the graceful boulevards and major landmarks of Paris, you can appreciate completely different views as you float along the Seine! Following the Paris city tour, you will be taken for one-hour's cruise with a commentary down the Seine to discover 2,000 years of Paris history and all the monuments along the river and the famous Paris bridges. Your Paris city tour gives you the unique opportunity to discover Paris, its history and its major landmarks including: Place de l'Opera, Place de la Concorde, Champs-Elysées, Arc de Triomphe, Place du Trocadero, Eiffel Tower (photo stop), Invalides, Pont Neuf, Bastille Square and the new Opera House, Notre-Dame de Paris Cathedral, Luxembourg Gardens and Saint-Germain des Pres and much more! Experience the delights of Paris on a full-day, personalized tour. Take a cruise along the Seine River and enjoy lunch at the Eiffel Tower, then tour the center of Paris by minivan. You'll be picked up and dropped off at your centrally located Paris hotel by air-conditioned minivan, which holds a maximum of only eight passengers and ensures you'll receive individual attention from your expert tour guide. Your cruise along the historic Seine River takes you past the buildings and monuments that have shaped Paris' history. Your personal tour then takes you to Paris' iconic Eiffel Tower, where you will be served lunch in the lovely setting of the 58 Tour Eiffel restaurant. Dine on the first floor of the Eiffel Tower, 95 meters (311 feet) above ground level, with scenic views over the Seine to the Trocadero from the restaurant's large picture windows. After lunch, your small group tour of Paris continues with a visit to Notre Dame Cathedral (approximately 15-20 minutes). The next stop on your tour is Montmartre and its many sights, including Sacre-Coeur Basilica, the picturesque Moulin de la Galette windmill and the central Place du Tertre square. Other sights on your Paris City Tour include the Louvre Museum, La Madeleine Church, Opera, Vendome Square, the Arc de Triomphe and Champs-Elysées. If your time in Paris is short, why not see Versailles and the highlights of Paris in one full-day tour? You'll visit the Palace of Versailles in the morning, return to Paris for lunch and take a Seine River cruise and Paris city tour in the afternoon. 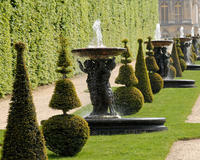 At Versailles your guide-interpreter will bring the history of the Palace of Versailles to life. In particular, you will discover Versailles' Great Royal Apartments, the Hall of Mirrors and the Queen's Apartments. On your return to Paris, your three-course lunch (drinks not included) will be served in a central Paris restaurant. In the afternoon, you'll take a self-guided city tour of Paris' main monuments by air-conditioned motor coach. You will also have the opportunity to ride the elevator to the second floor of the Eiffel Tower to enjoy the amazing panoramic views of Paris. There is not enough time allocated for visitors to go to the "top" of the Eiffel Tower. Queuing can take a long time, therefore it is suggested to return on another day. The tour comes to a close with a one-hour Seine River cruise, with commentary. You'll admire the famous bridges crossing the Seine and learn more about the history of Paris on your cruise. Your whirlwind day tour of Versailles and Paris ends at the base of the Eiffel Tower. April 3rd to October 31st (Saturdays & Sundays) and May 18th to June 29th (Tuesdays). For a selected time you have the option to see the magnificent fountain displays, which reveal the skill and artistry of 3 centuries of French garden design and engineering. The display is accompanied by music composed at the time of Louis XIV's court. Note that entrance fees to the Versailles Fountain Show Special Program are NOT included. A supplement of approx. 8 euros (adult) is payable direct. What could be more romantic than a private evening out in Paris for two? On this private tour, you and your loved one will enjoy a Champagne cruise along the Seine followed by an elegant gourmet dinner near the Champs-Elysées. End with a sightseeing tour by private car to admire top Paris attractions including the Eiffel Tower, Notre-Dame, l'Arc de Triomphe and Place de la Concorde, all brilliantly illuminated at night. Youll be picked up at your centrally located Paris hotel in the evening by your English-speaking driver. In a private car with just you and your love one, youll be chauffeured to the banks of the Seine for the first part of your romantic evening out. Sit back, clink your glasses of Champagne, and admire Paris waterfront sights on a relaxing 1-hour cruise. When you arrive back at the dock, your driver will take you to a renowned Parisian restaurant near the Champs-Elysées for dinner and drinks. Savor a typical French dinner with wine and more Champagne, finishing with dessert and coffee (see sample menu below). Your dinner is followed by a nighttime tour of Paris. You'll be picked up from the restaurant and taken past top Paris attractions, monuments and areas all beautifully lit up a night, including l'Arc de Triomphe, Notre-Dame, the Musée d'Orsay, the Opéra, the Panthéon and Place de la Concorde. Cross the Seine several times over famous bridges like Pont Alexandre III, Pont Neuf and Pont Marie, and stop in front of the Eiffel Tower at 11pm to see it sparkle. Theres something extra magical about Paris at night, and youll get to experience this with your loved one on this private tour. Before returning to your hotel around 11:30pm, your driver will offer a rose to the madame and a half bottle of Champagne to take with you as you continue your romantic evening in Paris. A visit to the elegant European city of Paris would be incomplete without a visit to the famous Eiffel Tower. It looks simply spectacular lit up at night time... you will find the image breathtaking. Combine a dinner at its "tourist style" 58 Tour Eiffel restaurant with a leisurely cruise along the river Seine and you have a tour not to be missed! What a great way to spend the night in the City of Lights. In decor reminiscent of an airship moored above Paris, you will dine at the 58 Tour Eiffel restaurant on the 1st floor of the Eiffel Tower. The large bay windows of the restaurant look out over the Seine and the Trocadero to one side and the interior of the Tower to the other. This tour has been created as an introduction to the Eiffel Tower, 58 Tour Eiffel is a "tourist style" restaurant and seats 200 guests. There is a delicious set menu created by award winning chefs and you will be seated with other tour guests. Immediately after dinner depart for your cruise along the river Seine, passing under the famous bridges of Paris. The perfect way to end your evening! Just a few hours on the Eurostar train is all that it takes to get to London from Paris! On this exciting day trip, see the top sights of the British capital on an open-top bus tour before relaxing on a leisurely cruise down the River Thames. Have your camera ready to snap photos of the Palace of Westminster (home to the Houses of Parliament), Big Ben, the London Eye and the Tower of London. See if the queen is home at Buckingham Palace, and learn about the sights youre seeing from an onboard knowledgeable English-speaking guide or multilingual audio guide. You may also join a free guided walking tour, if you wish. Rise early and make your own way to the train station  Paris Gare du Nord  where you'll be greeted by an assistant on the first floor next to the Eurostar ticket office. After you are issued your train ticket, board the train and settle into your reserved seat. On arrival at the St Pancras station in London after your approximately 2.5-hour train trip, exit the Eurostar terminal, where you'll be met in the concourse by a representative who will take you to Victoria station for your open-top bus tour. During the tour, see London's most iconic attractions: Buckingham Palace, Westminster Abbey, the Houses of Parliament (Palace of Westminster) and Big Ben, the London Eye, the Tower of London, the picturesque Tower Bridge and more. As you ride around town, a knowledgeable English-speaking guide (or a multilingual audio guide) on board the bus will tell you all about the sights you're seeing. After your sightseeing tour, you may join a free guided walking tour if you wish. Choose between the 2-hour Diamond Jubilee Walking Tour (where you'll stroll around numerous places connected to the Royal Family and the Royal Wedding) and the Beatles London Walking Tour (where you'll visit the places where the Fab Four worked and played in London). Then its time to take to the water on a relaxing cruise down the River Thames, where you can admire Londons medieval waterfront sights. Next, youll have some free time to explore London at your leisure, whether for shopping, sightseeing, eating, or all three. Make sure you allow yourself ample time to make your own way back to the St Pancras station at least 45 minutes before your 8:01pm departure on the Eurostar train. You will be back in Paris by 11:17pm! Begin your magical evening in Paris with hotel pickup in an air-conditioned minivan. Head to the foot of the Eiffel Tower and embark on a relaxing, scenic cruise on the Seine River. Spend an hour traveling leisurely down the river and admiring the sights of Paris including the Notre Dame Cathedral, the Musée dOrsay and the beautifully illuminated bridges. Learn about the history of Paris from your informative audio guide and listen to interesting stories told by the cruise personnel. Next, head to the famous Les Ombres Restaurant for a wonderful 3-course, set-menu dinner served with complimentary wine (for a sample menu, please refer to the Itinerary section below). This top-rated restaurant on TripAdvisor is located on the rooftop of the Musée du Quai Branly and features a glass roof, giving you unbeatable panoramic views of Paris and the iconic Eiffel Tower from your table. After your unforgettable French dining experience, youll be taken back to your hotel. Experience Paris iconic attractions with this full-day small-group tour of Paris. Start with a Segway tour until your lunch break in Paris wine museum, climb up on the second floor of the Eiffel Tower, and go all the way down to embark on a Bateaux-Mouches cruise on the river Seine. Meet at the centrally located Avenue Duquesne office at 9:30am. Get all the necessary information about your program. At 10am you will start your tour with a Segway and a multilingual guide, who will tell you historical and interesting facts. At approximately 1pm you will take a lunch break at the Wine Museum, located close to the Eiffel Tower. Your lunch will consist a 3-course menu with coffee. At 3pm you will have the occasion to take a skip-the-line visit to Eiffel Tower and climb it up to the second floor on a guided tour. Just after the visit of the Eiffel Tower is over, at approximately 4:30pm, jump on the iconic Bateaux-Mouches for a 1-hour cruise along the Seine river, where you have also a priority access. Meet your staff in the morning in central Paris, and get acquainted with the program of your trip. You will be given an envelope with your tickets as well as a city map. Start your day with a bike tour all around Paris city center until 1pm. The bike tour is lead by a local guide who will surprise you telling fascinating facts about the "City of Lights". Stop for a picnic, made from organic products of local producers with a bottle of french wine. From 3pm until 4:30pm, skip the long lines, and climb up to the top of the Arc de Triumph. End your day with a 1.30-Hour boat cruise, starting from 5pm : jump on the iconic BatoBus, just a few footsteps from the Eiffel Tower. Go for a stroll on the Ile de la Cité, one of Paris' two islands on the Seine, and enjoy quintessential French cuisine on this 3-hour walking tour. With a guide, learn about the island's role in French history, hear about events full of drama, love, and mystery, and see sights such as Notre-Dame Cathedral, the Conciergerie, Sainte-Chapelle, and the oldest bridge in Paris. For lunch, sit down to a typical meal of local dishes and take in the spirit of 'art de vivre.' Plus, receive a ticket for a river cruise. Your walking tour starts at Pont Neuf, Paris' oldest standing bridge, where you'll meet your guide for your exploration of Ile de la Cité. For about 1.5 hours, walk around the small island to see sights such as the statue of Henri IV, Dauphine Square, the Palace of Justice, and the Conciergerie, a former royal residence turned into a prison during the French Revolution. As you walk, hear stories from your guide about French history, the mysteries of Templars, and even old grapevines. Pass by the Clock Tower, Sainte-Chapelle, and the flower market where guards once bought modest bouquets to give to imprisoned Marie-Antoinette. Walk by the oldest hospital in Paris, stroll down streets so picturesque they could be in a movie, and learn where the best ice cream and cupcakes can be found. Eventually, you'll reach the heart of medieval Paris: Notre-Dame Cathedral. You have some time to admire the Gothic masterpiece and hear about its history, and you can enter to soak up the atmosphere from inside. Next, the second part of your tour (about one hour) begins as you leave the island for the Left Bank, where you'll roam a labyrinth of medieval streets to see some culinary attractions, pass by a historical church, and check out the Shakespeare and Company bookstore. For lunch, enjoy French dishes suggested by a local chef, such as frog legs, meats, and something sweetit's your choice, but you'll have a set menu of starter, main dish, and dessert, with wine added. While waiting for the food to be served, hear more about French cuisine from your guide, and ask any questions you have. After lunch, your guide gives you a ticket for a boat cruise along the Seine and provides instructions for where and when to board. You can take the cruise right after lunch or later, according to your preferences. The cruise lasts a little over an hour, with flexible start times, and you can expect to see many sights from the river, such as Pont Alexandre III, Grand Palais, Petit Palais, Place de la Concorde, Musée d'Orsay, and the Louvre. Float all the way around Ile de la Cité, and go back to other way to see the Eiffel Tower. At a location on the river near the Musée dOrsay, your Seine dinner cruise begins as you board La Marina de Paris boat that features a glass roof and windows so you can enjoy unobstructed views of Paris waterfront sights at any time of the night. The Menu includes a 3-course meal of starters, a choice of main dish and dessert: including drinks and a welcoming Sparkling Kir(see the Itinerary section below for sample menus). The dinner cruise also includes music and a chance to see the Eiffel Tower light show. As you glide leisurely along the Seine, youll capture views of famous Parisian landmarks like the Louvre, Notre-Dame and the Eiffel Tower. Float underneath bridges like Pont Neuf, and admire the beauty of the city all lit up after dark. Enjoy a Romantic and unforgettable 2-hour Dinner Cruise on the River Seine. Discover the most amazing and magnificent Monuments and face the Eiffel Tower with your loved one when it starts glimmering. Enjoy a 3-Course meal with a choice of starters, main courses and sweets served with Champagne. Embark at Port Solferino at 9:15pm, which is located a step away from Orsay Museum, and be ready for a memorable evening. The boarding pier will be at Port Solferino, located on quai Anatole France. Along the way, you will be served a variety of starters, followed by a main course, and a selection of gourmet desserts and a coffee. Enjoy a combo tour, including one hour Cruise on the River Seine followed by a Feerie Show at the Notorious Venue in Paris: Le Moulin Rouge sipping a glass of Champagne. Your evening departure will be by motorcoach from a centrally-located agency in Paris facing the Joan of Arc golden statue on a horse. The return trip back will be guaranteed for all those staying in a hotel inside the city (zip code starting by 75). For those staying outside Paris, you will be dropped at a taxi rank in Paris for your return trip. The tour will depart by motorcoach from centrally-located agency in Paris nearby the Louvre Museum at 8pm. You will be driven with other passengers (maximum of 50 passengers) near to the base of the well-known Eiffel Tower. The guide will take you on board to enjoy during one amazing hour down the River Seine in an unforgettable experience. You will travel along the river which runs through the very heart of Paris. With a multi-lingual audio guide relating the history of the most beautiful monuments, bridges, and famous Paris legends. Fully appreciate the splendor of museums Orsay and Louvre architecture; the imposing glass roofs of the Grand and Petit Palais, standing for over a century; Notre Dame, one of the worlds finest and largest Gothic cathedrals; the stunning Conciergerie, and so many more treasures. The cruise will return back to the departure point at the Eiffel Tower where the guide will meet you to go by motocoach to the north of Paris to the Pigalle Area. Before leaving, you will have time to memorize the iconic monument by taking many photos. Around 10.30pm, you will arrive at the Moulin Rouge Cabaret attending the 2nd Show called Feerie. The magical and colorful evening in one of the oldest theater will make it a perfect event for anyone. You will be captivating by the well-known show, sipping a glass of Champagne. Around 12.30am, the guide will take you back nearby your hotel (if located inside Paris: Zip Code should start by 75). For those staying outside Paris, you will be dropped at the nearest taxi rank to return back safely. Embark on this full-day panoramic city tour of Paris with a guide to explore the city and admire some of the most beautiful and amazing monuments, bridges and avenues. You will get a chance to visit the Eiffel Tower up to the 2nd level and you will be served with a 3-course lunch at Tours 58 Restaurant on the 1st Level. You will also go on a sightseeing cruise in the River Seine right at the bottom of the Eiffel Tower. This tour has a maximum of 9 travelers. This tour is a great way to be introduced to Paris. You will admire all the famous historical and cultural attractions youll want to return to later on your own. The excursion departs from our central located agency in Paris at 10am and you will be transported on a comfortable Motorcoach. You will discover the city and learn about its rich heritage and legendary architecture from the on-board narration. For about 1.5 hours, you will drive through the French Capital where you will see some amazing squares such as Place de la Concorde, Place Vendome, Place de la Bastille, impressing landmarks such as the Arc de Triomphe, the Louvre, Notre Dame Cathedral, and trendy districts such as St-Germain-des- Prés , the Champs-Elysées, the Trocadero, and the Opera. You will pass by Luxembourg Gardens and end your tour at the Eiffel Tower where you will get priority access to the second level to experience the whole view of Paris spread below you. A 3-course lunch will also be included at Tours 58 Restaurant located on 1st Floor at around 1:30pm. You are free to stay at the tower at your leisure. You will be able to get on the cruise anytime during the day. The departure will be at the bottom of the famous Iron Lady along the River Seine. You will discover some of the finest bridges and Monuments during the 1-hour cruise ride. The return back will be at the foot of the Tower. You will have your own free time to wander around the city at the end of the tour. The Must See Paris tour to explore the City and admire some of the most beautiful and iconic Monuments ,bridges and avenues.You will depart from our central located agency at 10am by Motorcoach. The tour will include a sighseeing tour and a 3 course French gastronomic meal on the River Seine with Bateaux Parisians in a warm and musical atmosphere.A great experience to discover during 2 hours the beauty of the City and some amazing and spectacular monuments along the River Seine through an all-glass boat.The return back will be at the foot of the Iconic Tower. You could then continue exploring the city at your own pace. You will start your tour by boarding a Panoramic coach at 10am from our central located agency in Paris. With an onboard host, you will explore Paris elegant streets and avenues, learn about its rich heritage and legendary architecture from Audio guided commentaries. For about 1.5 hours drive through the French Capital, you will see some iconic squares such as Place de la Concorde, Place Vendome, Place de la Bastille, impressing landmarks such as the Arc de Triomphe, the Louvre, Notre Dame Cathedral..., and trendy districts such as St-Germain-des- Prés , the Champs-Elysées, the Trocadero, the Opera... and many more impressing monuments , bridges,Gardens... You will then be dropped at Port de la Bourdonnais at the Bateaux Parisiens, nearby the Emblematic Eiffel Tower. The Cruise will depart at 12.45pm, You will enjoy a 3 course french gastronomic lunch in a warm and musical atmosphere.A great experience to discover during 2 hours the beauty of the City and some amazing and spectacular monuments along the River Seine through an all-glass boat.The return back will be at the foot of the Iconic Tower. You could then continue exploring the city at your leisure. Experience the delights of Paris on this full-day private tour, combining a minivan sightseeing tour, lunch on the Eiffel Tower and a Seine cruise. See top Paris attractions including the Louvre, the Champs-Elysées and Notre Dame on a morning tour, followed by lunch on the first floor of the Eiffel Tower, boasting incredible city views. Enjoy free time in the attractive hilltop district of Montmartre, home to Basilique du Sacré-Coeur, and then take a cruise along the Seine River to enjoy beautiful views of the French capital from the water. After pickup from your hotel by minivan, embark on your city sightseeing tour, the first part of your full-day Paris experience. Your private guide will take you to famous Paris sights such as the Louvre, Palais Garnier, Place Vendôme, Place de la Concorde, the Champs-Elysées and the Arc de Triomphe. Enjoy free time at iconic Notre Dame Cathedral to explore at your leisure. Continue to the Eiffel Tower, the most iconic symbol of the French capital. Ascend to the first floor and enter the 58 Tour Eiffel restaurant, perched 311 feet (95 meters) above ground level. Sit down to a lovely lunch while gazing out the large picture windows at views over the Seine to Trocadéro. After lunch, hop in the minivan and drive up to the hilly district of Montmartre, an offbeat artists haven known for its scandalous cabarets, charming cobblestone lanes and Impressionist art galleries and studios. Enjoy free time to soak up sweeping views from Basilique du Sacré-Coeur, visit historic Moulin de la Galette and perhaps get your portrait drawn in Place du Tertre. Then head to the banks of the Seine for the last portion of your tour, a relaxing river cruise. Board a boat and drift past the buildings, monuments and landmarks that have shaped Paris' history, such as Ile de la Cité, the Louvre, the Grand Palais and the Musée dOrsay. Enjoy informative onboard commentary along the way. After eight hours exploring the highlights of Paris, youll be dropped back off at your hotel. Small Group tour limited to 8 people to discover the highlights of Paris on an interactive 4-hour tour with live guide. Take the advantage to have a driver to drop you off easily and of the live guide to have time to do walking tour in the heart of Paris , Notre Dame and the Marais and also Montmartre with their famous painting in Place du tertre . Finish your tour by an one hour river seine cruise with a glass of champagne . Meet your guide and driver at the foot of the Opéra Garnier (Palais Garnier), in the famous place design by Haussmann. See the iconic columns of La Madeleine, Admire the triumphant Place Vendôme and the expansive Place de la Concorde at the end of the Champs-Elysées. Experience the sidewalk cafe culture of St. Germain-des-Pres. Enjoy ample photo stops along the way. Enjoy the heart of Paris with the Notre Dame place. Then continue with a walking tour of the Historic and Jewish Marais district famous with the place des Vosges, the Victor Hugo house and the many "hotel particuliers". After this walking tour, your driver will drop off you in Montmartre where you will feel the Paris of the 19eme century, Moulin Rouge, place du Tertre, Sacré cœur. The tour ending at the foot of the Eiffel tower where your guide will give you a ticket to come aboard a boat for an hour cruise with a glass of champagne. No return is included to let you enjoy the Eiffel tower. On Mother's Day in France, May 28th, 2017, treat her on this special occasion and take her on a 2-hour boat cruise with an exquisite lunch! Discover the magic of the Seine as you pass by some of the most prestigious historical monuments at the heart of Paris. Arriving at the port de la Conférence in midday, you will depart and start cruising. While sightseeing, you will be able to eat a delicious lunch prepared onboard by a chef. All this will be accompanied by pleasant live accordion music, which will be providing a great background to your cultural and gastronomical experience, tables facing the windows. Open upper deck available. Have a Champagne dinner cruise, taste a French traditional cooking, prepared on board by our own chef. Enjoy a 2h15 magic cruise with live music! At the end of the dinner, make yourself comfortable and watch the firework display from the upper-deck. Come experience a relaxing getaway on the Seine River, where Parisians go to enjoy the view. Take a seat aboard one of cruising boats and enjoy the sunset over Paris, the Seine and its monuments. Attention, since this is a special event, we do have a different schedule: The boarding will start at 8.00pm and the cruise will depart at 8.30pm. The return at the quay will be at 10.45 pm. Celebrate Christmas Day with family and friends on board Bateaux Mouches. Enjoy a gourmet special 3-course lunch in an iconic Paris boat for a 2-Hour unforgettable cruise. This Bateaux Mouche Christmas Lunch cruise is scheduled to leave at 12:30pm. Just make sure to get to the pier 30 minutes prior to departure. Once on board, enjoy a glass of Champagne, some Amuses bouche, gourmet food, live music, prestigious wine and a traditional French Yule log. Come and board the iconic Bateaux Mouches to enjoy a special dinner cruise for New Year's Eve followed by a live music party on the symbolic River Seine. On New Year's Eve, reach the pier by 8:30pm, which is ideally located in the heart of Paris and a 5-minute walk from Champs-Elysées, and embark on a 5-Hour unforgettable cruise, from 9pm to 2am. On board, you will enjoy an all inclusive 4-course gourmet dinner while admiring the magical view of illuminated Parisian monuments. This Bateaux Mouches New Year's Dinner Cruise is scheduled to leave at 9pm. Just make sure to get to the pier 30 minutes prior to departure. Once on board, enjoy a glass of Champagne with delicious Amuses bouches. Then get to taste a succession of exquisite dishes, from foie gras to lobster ravioli, and a delicious chocolat dessert. After your dinner, join the party and dance on live music until 2am in the morning. Pop up the big question or renew your vows on board a Bateau Mouche boat along the river Seine. This special tour package includes a romantic dinner cruise of 2 hours and 15 minutes with a most exquisite meal, a VIP welcome on board assured by the captain in person, a chauffeured limousine which shall be at your disposal for the transfer from the hotel to the boarding spot and back, and a special VIP placement on the boat. Among all the clients on board, you and your soulmate shall be the only ones seating at a special private table situated right at the bow assuring an amazing panoramic view of Paris by night. Several other surprises specially designed for this moment to share with your partner shall be provided all along the sightseeing cruise. Amaze your partner with an unique experience to enjoy on board of our boats! Pop the big question or renew your vows in an exquisite way while discovering the enchanting Parisian monuments from a private table situated right at the bow of the boat. The on-board chefs shall provide you an exquisite 4-course dinner with champagne, your captain shall welcome you on board in person, your professional chauffeur shall bring you from your hotel to the boarding spot and back in one of our limousines, and your photographer shall prepare some special photos designed to capture the exact moment when your partner says "yes". See Paris from the water on a 3-hour Seine River cruise on the iconic Bateaux-Mouches, which includes dinner. You'll admire the city's elegant architecture all lit up for the evening as you pass by landmarks such as Notre-Dame Cathedral and the Eiffel Tower. When booking, select from the Prestige or Excellence menus; you also have the option to select a holiday cruise, when available (duration may differ). Board the Bateaux-Mouches on the Seine River, and set off on your Paris dinner cruise. On board, enjoy your select 4-course meal (choose your preferred menu option when booking), and relax while listening to live music and soaking up the view of illuminated Parisian monuments like Notre-Dame Cathedral, the Louvre, and the Eiffel Tower. One bottle of wine per two people is included with dinner (or one bottle of water or one soft drink). Celebrate St. Valentine's Day on this 4-course gourmet cruise on the Seine River. Spend 3-hours sailing on the water and taking in the beautiful city skyline. Treat yourself and that special someone to a romantic evening in Paris. Board the luxurious Bateaux and prepare for a romantic evening on the Seine River. You will be captivated by the spectacular views of Paris lit up against the evening sky. Dine on a 4-course gourmet dinner. Sip champagne while enjoying your choice from a variety of decadent desserts. Relax and listen to live music during your 3-hour cruise. Enjoy this two-hour cruise and discover the magic of Seine as you pass by some of the most prestigious historical monuments in the heart of Paris. You can also enjoy some traditional French cuisine on board. Once you come to the designated meeting point, you will depart and start cruising. While sightseeing, you will be able to eat a delicious lunch prepared on-board by a chef. All this will be accompanied by a pleasant live accordion music, which will be providing a great background to your cultural and gastronomical experience. Open-upper deck available. Tables facing the windows. A festive cruise for a lunch time! You embark at the foot of Orsay museum, at 10:15 am, and return at 4:15 pm. You will appreciate our live commentaries along the way. Enjoy a Dinner Cruise along the Canal Saint Martin and the River Seine. You will experience one of the most picturesque waterways in Paris with « Guinguette » musical atmosphere: a new way to discover Paris! Float serenely past the romantic walkways shaded by chestnut trees. Enjoy live commentary with your English speaking guide. Climb aboard for a romantic evening cruise along the Canal Saint-Martin and get off the beaten path in Paris. Embark at the former harbor of the Bassin de la Villette and admire the Rotonde de la Villette by Claude Nicolas Ledoux, built as part of the old city walls. Venture through the mysterious tunnels to experience a place of magic and beauty, and emerge at the Port de lArsenal to see the genius of the Place de la Bastille and its 52-meter high column. Join the River Seine and see some of the most beautiful monuments of the "City of Lights." Along the way, pass 9 locks, 2 swing bridges and 4 footbridges as you feast from the on-board dinner. Soak up the atmosphere of the old guinguettes (drinking establishments) of Paris. A festive cruise for a dinner time! You embark at La Villette Basin (Bassin de la Villette), at 7:15 pm, and disembark at 10:30 pm, at the Orsay Museum (Musée d'Orsay). Your dinner will be served on board, and includes: starter, seasonal main course, dessert. Combine a sunset Seine River cruise with a skip-the-line night tour of the Eiffel Tower on an exciting Paris combo! Watch the sun set over beautiful Parisian attractions such as the Louvre Museum as you sip on a glass of chilled Champagne from a reserved seat at the front of the boat. Hear about the sights from an onboard guide, and then disembark for stroll to the illuminated Eiffel Tower. Skip past the entrance lines for a tour of viewing gallery on the second floor. Meet your guide by the gardens at Trocadéro in central Paris, and start your evening tour with a stroll around its landscaped lawns to the banks of the Seine River. Hop aboard your sightseeing boat at the waters edge, and make your way to a reserved area at the front of the boat that lends itself to unobstructed views over the rivers UNESCO-listed banks. With a glass of Champagne in hand, watch the sun set over Paris and listen to your guides entertaining commentary about the sights. Gaze out at top Paris attractions bathed in the soft evening light, and admire landmarks such as the Louvre where some of the worlds most celebrated artwork is housed. Have your camera poised to capture photos of the UNESCO-listed Notre Dame Cathedral, and look out for Île de la Cité, a natural island in the middle of the Seine. Your cruise finishes back at the river start point, where you can see the nighttime lights of the Eiffel Tower sparkling against the skyline. Walk a short distance  roughly 656 feet (200 meters)  to the Eiffel Tower with your guide, and learn about the legendary landmark. Created for the 1889 Paris Universal Exposition, the tower was at first detested by Parisians. Most of the critics eventually caved, and today you can see locals and visitors alike happily climbing its stairs, or riding the elevators some 900 feet (276 meters) to the highest viewpoint. Skip past the feted icons famously long entrance lines with your fast-access ticket, and head straight up to the second floor on an elevator while enjoying anecdotes and tales of history about the Paris landmarks below you. Walk around the viewing gallery with your guide and soak up sights of Champs de Mars and Montparnasse Tower. Enjoy two quintessential Parisian experiences on a Paris Super Saver that combines an Eiffel Tower tour with a Seine River cruise at a discounted price. With a local guide, you'll skip the line to enter the famous landmark and explore its second floor viewing gallery while hearing fun facts and little-known Eiffel Tower trivia. At a time that suits you, stroll to the banks of the Seine River to hop aboard a boat for a 1-hour sightseeing cruise, taking in the Louvre Museum, Notre Dame (Cathédrale de Notre Dame de Paris) and more. Choose from a morning or afternoon start time, and then meet your guide to start your Paris Super Saver with a stroll through the gardens at Trocadéro. Hear tales of the Eiffel Tower as you walk, and learn about its creation for the International Exposition of 1889, a world fair. Detested by Parisians in its early days, the tower eventually won the hearts of the locals and it became the citys most feted icon. Skip past the towers long entrance lines with your fast-access ticket, and head straight up to the second floor by elevator while enjoying anecdotes and tales of history about the Paris landmarks below your feet. Walk around the viewing gallery with your guide and soak up sights of Champs de Mars and Montparnasse Tower. Your next experience has a flexible start time, meaning you can simply walk to the prearranged meeting point  roughly 656 feet (200 meters) from the tower  at a time that suits your schedule. Hop aboard your sightseeing boat at the waters edge, and relax out on deck or in the lower saloon as you cruise along the famous river. Cutting through the city, the Seine takes in some glamorous sights and its Paris riverbanks have been awarded UNESCO World Heritage status. Listen to entertaining commentary as you cruise and gaze out at sights such as the Louvre, an iconic building thats home to some of the worlds most celebrated artwork. Have your camera poised to capture photos of Notre Dame  a UNESCO World Heritage site  and marvel at the attention-grabbing façade of La Conciergerie. The former royal palace and prison once housed some of the countrys most important political prisoners such as Marie Antoinette and Napoleon III. After an hour on the water, cruise back to the start point where your tour finishes. Make the most of your time in Paris with this full-day tour of the city's most famous sights, both on foot and by boat. First, explore the best of the Louvre Museum as your guide whisks you past the long entrance lines and straight to the masterpieces you want to see. Then, discover the ancient island of Ile de la Cité and Notre Dame Cathedral. End your day with a cruise down the Seine River, taking in the city's endless array of attractions from the water. Experiencing the best of Paris in one day may seem like an overwhelming prospect, but with this specially designed itinerary you can enjoy the citys simply unmissable sights in just eight hours. Join your guide and group of 25 or fewer tour participants by the Arc du Carrousel, opposite Paris' famous Louvre Museum. Then sail past the crowds with skip-the-line entry and head directly indoors for a 1.5-hour highlights tour. Follow your guide straight to instantly recognizable masterpieces such as the Winged Victory of Samothrace, Venus de Milo, and the unmissable Mona Lisa, and listen to as insightful and entertaining commentary brings each iconic work to life. When your visit comes to an end, youll have some free time before your afternoon tour to explore the nearby Latin Quarter  known for its lively bistros and ambiance and a great place to grab a bite to eat (own expense)  or stroll along the storied Left Bank, the citys bohemian heart and once frequented to such luminaries as Picasso and Hemingway. When the time comes, meet your group and guide on Ile de la Cité for your afternoon tour. Ile de la Cité is the historic heart of the city and home to its most famous cathedral, Notre Dame. Marvel at this Gothic masterpiece, and decipher the visual morality tale engraved into its facade (with help from your guide) before exploring its stunning interior. Your guide will entertain you with the intriguing history of this Parisian icon, from its construction through the French Revolution, and show you the treasure this church has been guarding for years. Having explored Paris on land, its now time to discover from the water. With your pre-booked ticket, bypass the main lines and board your evening cruise for a float down the Seine River. Sail under the citys pretty bridges and admire the sights, including the Eiffel Tower, as you go. Your full-day tour concludes after your cruise docks. Embark on this three-part tour of Paris that encompasses a trio of classic Parisian experiences that encapsulate the best of the City of Light's famous joie de vivre: a cruise down the Seine River, a guided tour of the Eiffel Tower, and an evening at the world's most famous cabaret, the Moulin Rouge. With a local expert guide by your side, you'll see the essence that makes Paris both timelessly romantic and exotic unveiled before your very eyes! This unforgettable Paris experience begins with a one-hour cruise along the waterway that has forged the city's life and character, the shimmering Seine River. Meet your guide who will put you aboard and bid you bon voyage as the boat meanders along its calm waters, treated to views of the city's captivating monuments, including the Louvre, Notre Dame and the medieval Conciergerie, a former palace which later served as a prison for illustrious inmates like Marie Antoinette during the French Revolution. As the Eiffel Tower comes into view you're sure to wish this ride would last forever, but it is now time to see Paris from above. Meet your guide again for a direct ascent up Paris' most recognizable emblem, the Eiffel Tower. You'll enjoy privileged skip-the-line access, meaning you can avoid the often lengthy queues and make your way straight to the second floor observation deck to take in the 360-degree views of a city so beautiful, it has sparked countless painters, authors, musicians and lovers with undying inspiration. While you gaze out over the Paris skyline, your guide will tell you about the tower's construction, its early reception and other fascinating tidbits relating to this iconic monument's place in the city's history, as well as the dazzling city that lies below. As evening gives way to night and the City of Light starts to twinkle, it's time to sample Paris' legendary nightlife. You'll be whisked away by private bus to Montmartre's Moulin Rouge, the world's most renowned cabaret, as your guide shares commentary on the allure of Paris by night. This iconic club has enjoyed perennial mythical status thanks to artist Toulouse-Lautrecâ's famous depictions of it and later, Baz Luhrmann's Oscar-winning 2001 film. Here, you'll witness the razzle-dazzle revue show that delighted party-hard Parisians and scandalized the more buttoned-up members of the city's upper echelons when it first opened back in 1889. After snapping a photograph of the giant red windmill outside the venue, it's time to head inside. Rather than regular theater seating, this atmospheric turn-of-the-century-style venue features tables around which the audience members sit. You'll be given a half-bottle of champagne, which you can sip your way through as the show gets underway. And as for the show itself? You can expect a nostalgia-soaked extravaganza of singing, dancing and outlandish specialty performances (ranging from acrobatic roller skaters to a death-defying act featuring a giant water tank full of pythons!) and some of the most eye-popping beaded, bejeweled, sequined and feathered costumes known to man. And of course, there will be lots of well-choreographed dance numbers, including the never-to-be-missed "can-can", courtesy of the swirling, twirling, high-kicking, bare-breasted chorus of Doriss girls. See the Paris you know from the postcards as well as the secret city that lies all around it on this Paris welcome tour. In the company of a local guide, you'll see the highlights of central Paris and explore some of the city's most vibrant and historically-significant neighborhoods. Also includes some surprises, like Seine river cruise tickets and a game of petanque. Meet your guide near the Louvre in one of Paris' most charming and elegant small plazas, the Place Colette. Then head over to the Jardins du Palais Royal, and learn how they went from a revolutionary hotbed to the citys most popular gardens before stepping inside the iconic courtyard of the Louvre. In front of I.M. Pei's famous glass pyramid, your guide will tell you the story of this ancient fortress-turned-palace-turned-art-gallery and recommend what to see when you go for a visit. Head down to the banks of the Seine and pause with a map to learn how to orient yourself with some of the most recognizable landmarks. Also learn about Paris' famous escargot (snail) layout and figure out how to get to some of the other places that you'll visit later in your stay. Cross the Pont Neuf and learn why Henry the IV, whose statue adorns one end, is looking so pleased with himself (hint, the ladies loved him). Theres also a little treat: Tickets for the river cruise ship that leaves from Pont Neuf. We wont hop on right away but you can return and use the tickets whenever you would like during your stay. On the Ile de la Cité, stop in the lovely square of the Place Dauphine and learn how to play Frances most beloved game: petanque. Then, continue down streets that seem to have changed very little in 500 years, past the Conciergerie - once the country's most feared jail - and turn a few corners to find yourself in front of the great Notre Dame. Finish your tour with a little surprise on the point considered the exact geographic center of Paris. Your guide can explain to you the different legends and traditions surrounding it, but it's up to you whether you want to leave a coin, spin in a circle, or kiss a loved one. Your 2.5-hour tour will fly by, but the knowledge of Paris' history and culture will inform your entire stay and set you up to enjoy the city to the fullest. Enjoy a visit at the top of the Eiffel Tower, Paris iconic symbol, and avoid spending hours waiting in line! Join your expert guides and small-group to be whisked past the crowds thanks to your special access ticket. Learn about the turbulent history of the Iron Lady, and enjoy the sweeping views across the city from the second floor as your guide points out the must see sites. Ascend to the summit of the tower and admire the spectacular panorama of the City of Lights laid out below you. Once you have your fill of the views from the tower, its a short walk to the river Seine, where you can again skip the line for a relaxing 1 hour scenic cruise. Enjoy a glass of fine French champagne as you watch the most beautiful monuments in the city drift by. Meet your friendly guide and small group of 20 people or fewer at a location close to the Eiffel Tower and enjoy a short stroll to the base of the tower as your guide tells you the fascinating stories behind this radical structure and her creator, Gustave Eiffel. Built for the Worlds Fair of 1889, the Eiffel Tower was at first reviled by Parisians and almost torn down, but she defied her critics, outlasting them all to become one of the best-loved monuments in the city, if not the world. Nowadays, crowds from all over the world flock to see her. Bypass the long lines and go straight to the summit, offering some of the best panoramic views of the city. After all, Gustave Eiffel himself had his apartment at the top of his inimitable building! Peek into his private apartment before going to the second floor. There, your guide will point out the most famous sites and monuments, offering not only historical and cultural information, but also tips on the best ways to visit the unmissable sights of this beautiful city. Montmartre, the Arc de Triomphe, Notre Dame, and the golden dome of the Invalides  the whole city is at your feet. It doesnt end there. After your tour, make your way to the Seine River at your leisure and embark on a 1-hour panoramic Champagne cruise. Discover the most famous sights of the city, including spectacular views of the Louvre, Notre Dame and the Musée d'Orsay, as well as the beautiful banks of the Seine, so remarkable that they are classified as a UNESCO World Heritage Site. Enjoy the views in style as you sip on a glass of fine French Champagne. You can opt to take the cruise at any time of the day; savor the beauty of the sun setting over the city, or wait until dark and delight in the City of Lights sparkling before you. See all the top Paris attractions on your list on this 2-hour city sightseeing tour! Traveling by luxury minibus with a glass roof, youll pass iconic landmarks, like the Arc de Triomphe, Eiffel Tower and Notre Dame Cathedral, while learning about their history from your friendly guide. If you have more time to spare, then upgrade to include a 1-hour Seine River sightseeing cruise. See the sites that line the Seines UNESCO World Heritage-listed riverbanks, and enjoy an apéritif and crêpe as you cruise! Meet your guide at your chosen start time near the École Militaire, and then board your luxury glass roofed minibus for your whistle-stop tour of Paris. From the comfort of your seat, see all the top Paris attractions while hearing about the citys distinctive history and culture from your guide. Pass along the Champs-Élysées, seeing its luxury boutiques and incredible monuments such as the Arc de Triomphe, which was built to honor fallen French soldiers. At the end of the street is Place de la Concorde, Paris largest central square, home to an eye-catching obelisk that was given to the French by the Egyptians as a gift in the 19th century. Pass everyones favorite architectural icon  the Eiffel Tower  and see UNESCO World Heritage-listed Notre Dame Cathedral. Get a glimpse into upmarket Parisian life while traveling through the streets of swanky Saint-Germain des Prés, passing prestigious museums like Musée dOrsay. Your sightseeing tour finishes near the Eiffel Tower. Upgrade to include a 1-hour Seine River cruise with your tour! After leaving your minibus, your guide will give you your cruise ticket and directions to the boat meeting point. Hop on board your sightseeing boat and see more top Paris attractions from the water, while enjoying a hot crêpe and an apéritif of Champagne, wine, or a Kir Royale (blackcurrant liquor with sparkling wine). Listen to entertaining audio commentary and see all the sites along the UNESCO-listed banks of the Seine River, including the Louvre Museum and Notre Dame Cathedral. Enjoy a dinner cruise along the Seine through Paris, admiring the sights along the river with the evening sky as a backdrop. Then visit the legendary Moulin Rouge for a performance of the fabulous cabaret show 'Féerie.' Champagne is included during the show. It's a perfect combination for a romantic Parisian night out. Your evening starts with an early dinner cruise, which takes you about 8 miles (12 km) along the Seine River through the heart of Paris. Admire the city of romance and its monuments as you glide down the river, passing by historical architecture and underneath elegant bridges. Your à la carte dinner menu includes a starter, main course, dessert, wine, mineral water, and coffee; meals are prepared on board. You'll also be entertained by on-board music as you eat. After the 1.5-hour cruise, you'll be transferred to the Moulin Rouge in the Montmartre district. Take your seat for 'Féerie,' a dazzling cabaret show featuring a troupe of 80 artists, including the famous Doris dancers, as well as international acts. Marvel at the hundreds of costumes made of feathers, rhinestones, and sequins, and watch with delight as the French can-can is performed on stage. A half-bottle of Champagne is included during the show. Your tour ends at the Moulin Rouge, where you can continue to enjoy your night out on your own, or be transferred to your hotel, if in the drop-off area. View the amazing sites of Paris from the Seine on a fully narrated 1 hour river cruise. Watch the Eiffel tower, Notre Dame, and more float by, then sip champagne as you take in a cabaret performance at the famous Moulin Rouge. Start off your enchanting evening with a scenic cruise along the river Seine, embarking from the foot of the Eiffel Tower. The glassed-covered trimarans are perfect for amazing Paris views. Traveling leisurely down the river you will admire the sights of Paris including the Grand Palais, Louvre and the beautifully illuminated bridges. Take this moment to sit back and relax and learn about Paris rich history from your audio guide. This tour is an ideal introduction to Paris for first time family visitors. - Your kids will have fun and learn some French! - Meet a friendly Parisian guide that will teach you a lot about Parisian lifestyle! To kick-start the tour, your kid-friendly guide will meet you in a typical café where, over a shared breakfast, youll be able to talk about Parisian daily life and your children will learn some useful French words for the rest of your stay. Your first stop will be dedicated to the imposing Notre-Dame. Its façade is a true book of stone. With your guides help it will be easy as pie to decipher it and learn about Gothic architecture and art. Inside, marvels await you: the colorful 13th century rose windows. Truly astonishing! After the cathedral visit, youll start strolling through the city and experience its most beautiful monuments, by either walking or by public transport as taking the subway in Paris is pure local adventure. Along your way, your will appreciate Le Marais winding streets, admire the Opera House district and be amazed by the Louvres magnificent architecture and gardens. It will be time for a lunch break. Your guide will recommend a few kids kid-friendly places. Lets now make place for the afternoon activities. First up is a 2-hour cool boat cruise on the Seine. Its the best way to glimpse the as yet undiscovered cityscapes. This cruise will be a perfect opportunity to learn more about Paris whilst relaxing. Once back ashore, a short stroll will take you towards the Champs-Elysées and the majestic Triumph Arch. The end of the day is dedicated to a stop at the Eiffel Tower, listening to funny anecdotes about the Iron Ladys story and to take beautiful pictures with Paris literally at your feet. Treat yourself to an elegant lunch in Paris with this 2-hour afternoon sightseeing cruise down the Seine River. Aboard your Bateaux Parisiens boat, relax over a 3-course French meal while enjoying live music and fantastic views of Paris' most iconic attractions including the Eiffel Tower, Notre-Dame Cathedral, Louvre Museum and the Musée d'Orsay. A choice of seating options and wine selections are available when booking. After meeting your host near the Eiffel Tower, head to the banks of the Seine River and step aboard a Bateaux Parisiens luxury sightseeing boat for your 2-hour lunch cruise. Make your way to your table and enjoy a glass of Champagne. Sit back, relax and enjoy the views of Paris major attractions lining the beautiful Seine, whose historic riverbanks are designated as a UNESCO World Heritage site. Starting at the imposing Eiffel Tower, your route takes in iconic Notre Dame-Cathedral, the buzzing Latin Quarter and the Parisian Statue of Liberty, as well as world-famous museums such as the Musée dOrsay and the Louvre, as you cruise to La Bibliothèque Nationale and back. Your boats glass roof and large panoramic windows offer great views from every seat. After ordering from the à la carte menu, a lovely 3-course lunch with wine is served. Enjoy live music as you dine on fine French cuisine and soak up the views. Your cruise then returns to the quay near the Eiffel Tower. Welcome the New Year in style and dance the night away on this Seine River boat cruise in Paris. Enjoy live music, dine on an elegant 6-course dinner with wine and Champagne, and admire the sparkling Eiffel Tower, Notre Dame Cathedral, the Louvre and other world-famous attractions along the UNESCO World Heritagelisted riverbank. Dock near the Eiffel Tower after midnight and continue your New Year celebrations into the morning hours with more drinks and dancing. Board your glass-enclosed Bateaux Parisiens boat near the Eiffel Tower on the evening of New Year's Eve. You'll be greeted by your host, treated to a celebratory glass of Champagne, and escorted to your table in your selected seating section  in the center of the boat, near a window or in the front of the boat. Sit back and relax as you cruise down the Seine River past the twinkling lights and famous sights of Paris UNESCO World Heritagelisted riverbanks. Pass Notre Dame Cathedral, the Louvre, the Latin Quarter and the Musée d'Orsay, and keep an eye out for the Parisian Statue of Liberty. Your boats glass roof and panoramic windows offer beautiful views of Paris from your pristine vantage point on the water. At the National Library of France, turn around for the return journey to the Eiffel Tower and sit down to a sumptuous 6-course meal. Enjoy fine French cuisine paired with wine as the band launches into a live musical set for your nightly entertainment. Return to your starting point near the Eiffel Tower and enjoy some old-fashioned New Years Eve revelry at the quayside aboard your boat. The live music and dancing continues until the last guests leave, typically around 3am. When youre partied out and ready to head home, step off the boat to conclude your celebrations. This Valentine's Day, enjoy an evening of romance on the Seine River in Paris with a 2-hour dinner cruise. Admire Paris famous sights including the Eiffel Tower, Notre Dame Cathedral and the Louvre Museum aboard a Bateaux Parisiens boat with your special someone. Sip Champagne, take in the glittering cityscape and pull up a seat for an elegant French meal with wine. Listen to live music as the dazzling city lights pass by. Your Paris Valentines Day dinner cruise begins near the Eiffel Tower in the evening. Meet your host, board a glass-enclosed Bateaux Parisiens boat and begin cruising along the Seine River, whose historic UNESCO World Heritagelisted waterfront holds some of the most famous sights in the world. Gliding east through the heart of Paris, gaze out of the large panoramic windows at the Musée dOrsay, the Grand Palais, Place de la Concorde, the Louvre Museum, Notre Dame Cathedral, the Latin Quarter, the Parisian Statue of Liberty and more. After being escorted to your table, toast to your loved one with a glass of Champagne, and customize your 5-course meal with choices from an à la carte menu (sample menu below). Sip wine, savor classic French cuisine and listen to live musical entertainment as you dine. Reaching far east Paris, your boat turns around at the Bibliothèque Nationale de France. Enjoy more views of Paris' waterfront sights on your way back toward the Eiffel Tower, where your 2-hour cruise ends at the original departure point. See Paris highlights from the water on this 4-hour evening Seine River cruise, and enjoy a gourmet dinner on board. Begin near the Eiffel Tower and glide out along the river, taking in views of the Louvre, Notre Dame Cathedral, the Musée d'Orsay, Pont Alexandre III, and other illuminated waterfront sights. Enjoy a 3-course meal surrounded by panoramic windows, and upgrade to include drinks such as Champagne, cocktails, wine, and coffee. Head to the top deck for open-air views and choose from four evening cruise times to suit your schedule. Board your luxury 250-person vessel at your selected time and head out along the sparkling River Seine. Pass the iconic Eiffel Tower, and cruise under Pont Alma and Pont Alexandre III. See the impressive National Assembly building, which houses part of the French parliament, and look out for the Louvre Museum. With an information booklet in hand, you can read up on all the sights from the comfort of your dining table. Opt to head to the upper deck, too, for 360-degree views during your cruise. Drift along Ile St Louis and Ile de la Cité, and capture photos of Notre Dame Cathedral; floodlights make this Gothic masterpiece even more striking at night. Other sights include the National Library and Paris very own Statue of Liberty. Youll be served a gourmet 3-course dinner prepared by an award-winning team of chefs to enjoy while you take in views of Paris illuminated at night (see sample menu below). Upgrade to include drinks to complement your French meal, such as an aperitif, wine, Champagne, and coffee. After two hours of cruising the Seine, disembark near the Eiffel Tower where your tour began. Enjoy a pickup at your Paris hotel in the evening and embark on a small-group discovery of the City of Lights with an Interactive audioguide (8 persons max). Go on a river cruise for one hour aboard a glass-enclosed boat to discover Paris' illuminated bridges and monuments along the river. End your night with the dazzling new LIDO show, a tribute to the elegance and treasures of Paris, on the Champs-Elysées. Discover the magic of the night safely in your car with chauffeur. You will travel by luxury car or minivan (8 seats). See the illuminated Place de la Concorde, the Opera Garnier, The Louvre, The Arch of Triumph, The Madeleine, The Champs Elysées Avenue, the Eiffel tower and more. Learn about the monuments with your interactive audioguide available in 5 languages: English, French, German, Japanese and Spanish. Climb aboard one of the famous "bateaux mouches": big boats covered in glass letting you admire the city from everywhere you turn. Rest for a while, listening to a commentary about the monuments by the river and count the bridges you will pass under! Then, see the brand new LIDO show: new venue, completely redesigned and refurbished and new show written and directed by Franco Dragone, creator for the Cirque du Soleil. Enjoy live music and dancing from the best artists in this Las-Vegas style cabaret on the Champs-Elysées, while sipping on your half bottle of Champagne or one of two non-alcoholic drinks. After the show, be transferred safely back to your Paris hotel. Enjoy a pickup at your hotel in the evening and embark on a small-group discovery of the City of Lights with an Interactive audioguide (8 persons max). Go on a river cruise for one hour aboard a glass-enclosed boat to discover Paris' illuminated bridges and monuments along the river then see the Féerie show at the Moulin Rouge and be dazzled by the world-famous French cancan! Enjoy the show while sipping on your half bottle of Champagne or one of two non-alcoholic drinks. After the show, be transferred safely back to your Paris hotel. Attention the Moulin Rouge sometimes sells out weeks in advance, book early to be guarranteed a seat! This Evening Bike + Boat Tour takes you to the best lit monuments in Paris and then on a 1hr Seine River Cruise, to share the most beautiful views of the "City of Lights"! Among other things you'll discover the wonders of the Louvre's great glass pyramid, the deluxe of the Champs-Elysées, and marvel at the Eiffel Tower's illuminations as it twinkles at night! Then boarding the boat you'll cruise under enchanting bridges such as the gilded Pont Alexandre III and the oldest bridge in Paris, the Pont Neuf. All the while your guide will share fun facts and local insights into Paris. FYI: During certain months the sun does not set until quite late, so this tour can end up taking place partially in the day light. A unique occasion to discover Paris and all its famous sites in one day including the Louvre Museum skip-the-line access! On foot and by metro, accompany your professional guide around the iconic monuments and streets of the capital: Notre Dame, the Louvre, the Arc de Triomphe, the Eiffel Tower. A personal and private experience : an unforgettable day! The best way to enjoy the city of Paris is to simply immerse yourself in it. During this day tour, you will travel through the meandering history of this wonderful city. Discover buildings from Antiquity and Middle Ages, such as the first Royal Palace, the Sainte Chapelle and Notre Dame - all on the Île de la Cité, cradle of Paris' construction. Lose yourself in the small streets of the Marais district, and explore iconic places such as the Place des Vosges. After a lunch break, follow your guide to the Louvre (the largest museum in Europe), with its unrivaled art collection; cut the line included! From the Palace of the Kings to the Museum, see why the Venus de Milo and the Mona Lisa are so well-known. Then how about a walk in the Tuileries gardens and onto the Champs Elysees? We can admire the Arc de Triomphe: enthroned in the center of an amazing perspective! Our day concludes in front of the architectural prodigy that is the Eiffel Tower, where the guide will leave you to enjoy a boat cruise on the Seine, included in your visit. Enjoy panoramic views of Paris while having your lunch at the restaurant 58 Tour on the first floor of the Eiffel Tower. Discover the rest of the Tower with a skip-the-line access to the second floor of the Eiffel Tower After your lunch with possiblity of adding summit ticket. Then admire the iconic landmarks of Paris on a 1-hour Seine River cruise. Enjoy lunch at Restaurant 58 on the first floor of the Eiffel Tower, with a choice of seatings at noon or at 1.30 pm. Come to meeting point collect your priority lift tickets 15 minutes before time of booking. Our guide will accompany you to the Eiffel Tower. He will help you to skip the line, take the elevator and ascend to the restaurant, where a hostess will guide you to your table. A few moments later, your order will be taken and your lunch will be served in a picnic-style basket. You can choose to go to the second floor of the Eiffel Tower before or after your Lunch depending on your entrance time to the Eiffel Tower. If it's before then you will skip the line at the entrance and get directly to the second floor with the elevators. Those same elevator will let you out in the first floor on your way down. Built at 115m above the ground, the second floor of the Eiffel Tower is already impressive. Enjoy a slow stroll around the Tower and try to recognise all the famous monuments of the City of Lights. Once inside the Eiffel Tower, you can stay until it close, at 11PM in the winter and midnight in the summer. If the second floor isn't impressive enough for you, you can book the option summit access and go to the third floor. Then, after a short elevator ride you will be in the highest point in Paris and have one of the most amazing view on the French capital. This tour also include a 1 hour Seine River Cruise. You can take this cruise at any time during your stay. Whether you choose a daytime or night time excursion, your ticket will save your time to buy the ticket! Once on board, youll enjoy a 1-hour cruise down the Seine admiring the UNESCO-listed riverbanks and Parisian landmarks such as the Eiffel Tower, Les Invalides, the Louvre Museum, the Orsay Museum, Notre-Dame de Paris, and a number of monumental bridges. Listen to the interesting commentaries given on board by your audioguide in a wide selection of languages. See houseboats and floating restaurants as you glide along under the bridges across the Seine, adding to the charming atmosphere of this very special city. Enjoy panoramic views of Paris while having your lunch at the restaurant 58 Tour on the first floor of the Eiffel Tower. Discover the rest of the Tower with a skip-the-line access to the top floor of the Eiffel Tower After your lunch. Then admire the iconic landmarks of Paris on a 1-hour Seine River cruise. Enjoy great lunch at Restaurant 58 on the first floor of the Eiffel Tower, with a choice of 3 course meal. If the second floor isn't impressive enough for you, you can book can visit summit with your ticket. Then, after a short elevator ride you will be in the highest point in Paris and have one of the most amazing view on the French capital. See the main sights of Paris on a 2-hour sightseeing tour with an optional skip the line Louvre Museum ticket to explore on your own the most visited Museum in the world or 1-hour cruise of the River Seine to see it from the water. Marvel at architectural highlights, such as the Eiffel Tower, Notre-Dame de Paris, Montmartre, and much more. Explore the highlights of Paris on a 2-hour orientation tour to get a feel for the grand boulevards, bohemian neighborhoods, and miraculous monuments of the city. Then, add an optional 1-hour river cruise to see the historic bridges and city landmarks on both banks of the Seine. Following a pick-up from your hotel, pass the infamous cabaret bars of the Moulin Rouge and Pigalle. Learn about the city’s Red Light District, and the artistic neighborhood of Montmartre. Drive by grand buildings, such as the Opera Garnier, Louvre, and Place de la Concorde. Admire the windows of the impressive Galeries Lafayette department store, the boutiques of Place Vendome, and the luxury hotels of the Champs Elysees. Continue along the banks of the River Seine to see the gargoyles of Notre Dame on Ile de la Cité. Marvel at the medieval church of Sainte-Chapelle, with its extrordinary stained glass windows. Go to the Latin Quarter to see the pavement bars packed with students, and pass the temple where famous Frenchmen, such as Victor Hugo and Jean Jacques Rousseau were laid to rest. Discover where Hemingway drank at cafés like Deux Magots and Café de Flore, and end with impressive views of the Eiffel Tower. Add an extra dimension to your trip and book the cruise option to end with a 1-hour cruise along the River Seine. Although unescorted, the cruise features live commentary, and audio guides in many languages to point out the highlights. You may also spent your time in Louvre Museum to admire its worldly famous masterpieces with picking up our skip the line Louvre Museum Ticket. You will avoid the hussle of transportation as our driver guide will drop you off either in Louvre Museum or in River Cruise. A 3 days holiday tour in Paris to discover the main attraction of Paris with the Eiffel Tower, Seine Cruise with an amazing lunch at the Eiffel Tower. Arrival at Paris CDG airport meet your driver and transfer to your hotel in Paris center by a private car. Check in at hotel. Overnight at hotel 3* Belta or similar. Breakfast at Hotel. Later reach the meeting point to start a tour of Paris. Guided tour of Paris where you will discover Paris from the river while sailing on the Seine River Cruise and a great lunch at the Eiffel Tower. Return back to your hotel. Ovenight at Hotel. Breakfast in Hotel. Private transfer to Paris CDG airport. Discover Paris through five different tours, taken over the course of two days. Explore the Louvre Museum, take a city tour by private vehicle or electric bicycle, and embark on a Seine River cruise in the City of Light. Then follow in the footsteps of Parisian artists during a private tour of Montmartre, and visit Île de la Cité (Island of the City) for wine and cheese tasting. Priority entrance is included at museums and monuments. On the morning of your first day in Paris, receive a VIP welcome reception at the tour office. Sip tea or coffee while a personal concierge provides a detailed schedule and other relevant information about your 2-day package, which includes five separately guided tours on foot, by bicycle, by car, and by boat, scheduled across two different days. Visit the Louvre, see Paris neighborhoods, explore Montmartre and Île de la Cité, and take a Seine River cruise. At each destination, meet certified guides who inform you about the history of Paris through amusing anecdotes during private tours or small-group tours limited to a maximum of six or 10 people. Youll have skip-the-line access to monuments and museums visited, and have time to grab meals and find your own transport between activities. See the Itinerary below for a sample schedule, subject to change. Enjoy Paris at your own pace with a 1 or 2 day hop-on hop-off sightseeing bus pass. Hop off at the Eiffel Tower, skip the lines waiting to enter, and enjoy lunch in the Tower. Cruise through Paris along the Seine, taking in iconic monuments along the way. Discover Paris with a sense of freedom that group tours dont provide. This 1 or 2 day pass for an open-top hop-on hop-off sightseeing bus will ensure that you get a bird's eye views of sights throughout this sensational city. Hop off at strategic stops to visit the Louvre Museum, Eiffel Tower, and many other of the citys iconic sites. The onboard audio guide, available in 8 languages, provides a narrative of the monuments and landmarks, from Napoleons Arc de Triomph at the end of the Champs-Elysées, to the magnificent Opera Garnier. When you start to feel hungry, you can hop off at the Eiffel Tower, skip the long lines, and enjoy lunch prepared by famous chefs at this emblematic monument of Paris. See Itinerary section for a full menu. Your package also includes a 1-hour cruise on the Seine River, which you can take at any time during your stay. Admire the UNESCO-listed buildings lining the riverbanks, including the Eiffel Tower, Les Invalides, Notre-Dame de Paris, and the Conciergerie. Pass by charming houseboats and floating restaurants along the way. Back on land, you can continue sightseeing by bus. A full loop takes around 2.5 hours without getting off, or you can hop off at any of the 10 stops. Singlescruise.com - Books groups of singles (ages 21 on up, but mostly 35–55) onto cruise ships, offering its own onboard program of events and mixers—and, most importantly, matching you with a same-gender cabinmate (of roughly the same age) so you don't have to pay the dreaded "single supplement."